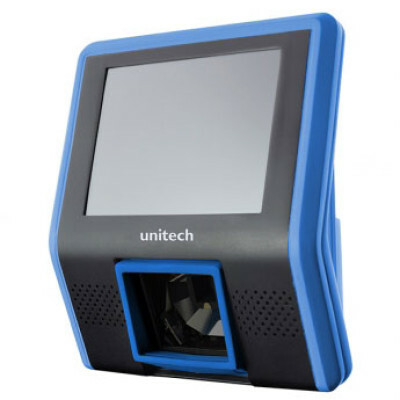 The Unitech PC88 is a color-screen price checker with a 5.7 inch color display. The PC88 provides the price verifying functionality for customer self-service, allowing store employees to do more. With the 5.7 inch color screen, the PC88 has a built-in broadcasting function with the ability to play multi media formats (including picture and video), which can easily display store promotions and advertisements to the customers. The Rhino II vehicle mount computers, available in both 10" and 12" display sizes, set the standard for ruggedness in the warehouse. A sealed design tested to IP65/IP67 ensures operation in the toughest environments. A dedicated freezer-rated model with integrated display heater allows use in and out of cold storage. The capacitive touch models feature 3 mm anti-glare armored glass, while still allowing use of gloves. The new Thor VM1A combines the easy-to-use and easy-to-maintain features of the popular Thor VM1 and CV41. 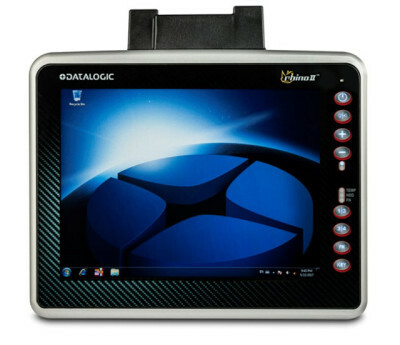 This rugged, Android based, vehicle-mounted computer has the advantage with Honeywell's Mobility Edge Platform that includes the ability to accelerate provisioning, application certification, and deployment across the enterprise. A smart dock feature allows users to quickly shift the computers between vehicles to maximize efficiency and uptime. With Zebra's CC5000-10 in your store, you allow customers to look up information, check a price, make a purchase, or receive personalized coupons. Delivering true tablet simplicity and real business class capability. Designed to look up information, make purchases, or receive personalized special offers. Give your customers a familiar feel with the transformed Android operating system without sacrificing the enterprise class security and manageability IT demands. The Unitech MT380 TASHI is one of the most compact IP based Time & Attendance and Access Control terminals on the market. It can be applied to many applications via a Windows CE 5.0 operating system. Ensure security with one of several supporting auto ID proximity readers: Fingerprint, HID and EM. The MT380 TASHI features an embedded 2-megapixel camera and microphone helps to verify identification. Also, data input is seamless with a large numeric keypad, function keys and 3.5-inch QVGA color touch-screen. And the MT380 TASHI supports Ethernet or wireless Wi-Fi communication. The Unitech MT380 TASHI is programmable through a software development kit. In addition, a comprehensive and ready to use T & A application template is provided on the terminal.